After reading the entire Maizesoft forum here at KVR, as well as the official documentation for Maize Sampler, I thought Id give it a go creating and testing example plugins to get an understanding of how it all works and whats missing from the results I aimed for. I thought I'd compile a short list of things that I think would help generate a more satisfying, well-rounded VSTi with some minor improvements to Maize Sampler 2. I will be maintaining this post to reduce forum clutter from additional threads by me, scratching off features that have been implemented. A drum plugin where you have each drum pad/sample assigned to its own group. You may want to adjust the pitch of a snare, but not affect the other groups of samples (Kicks, Hats, Etc). We would need a group Pitch parameter for this. You may want reverb on a snare drum but not on the other groups of samples (Kicks, Hats, Etc). We would need a group FX parameter for this. A better way to manage presets, and the way they are displayed/browsed. (Picture Example.) Not the best illustration, but you get the point. So far all Ive figured out on my own in JUCE is that this is done by using a viewport, scrollbar and user folder structure. Not much of a programmer but I do read. More effects to further help craft new and interesting patches. Phaser, Tremelo, Delay, Chorus, Wah, Distortion, *Filters, Etc. Hi and Low Pass Filters. A sizeable and placeable loading/progress bar instead of it taking up the entire plugin boundaries. Maybe allow us to also change the color of the bar also if possible. The ability to add an .exs file as a group type to an existing project. Last edited by Platinum Sounds on Thu Mar 22, 2018 10:32 pm, edited 11 times in total. Does anyone have any additional input or requests ? As far as I know, the Maize Sampler developer is just one guy so updates and new features are very slow to arrive. The Pitch and FX controls for groups sounds like it could be done reasonably easily but I think the preset management is a bit of a stretch. Maize Sampler is more or less just a wrapper built around the JUCE framework. It does a great job of allowing us to create simple instruments fairly quickly but advanced features that require development (rather than just adding in existing JUCE features) might never happen. MS is in a funny spot where the users who paid for a license really want more features and faster development but the app probably doesn't have the traction or customer base (ie sales) to justify more developers working on it. Welcome to the thread and thank you for joining the discussion ! dannytaurus wrote: As far as I know, the Maize Sampler developer is just one guy so updates and new features are very slow to arrive. I realize this, and Im sure updates are slow to arrive because of time. dannytaurus wrote: MS is in a funny spot where the users who paid for a license really want more features and faster development but the app probably doesn't have the traction or customer base (ie sales) to justify more developers working on it. I would like some new features, but I dont feel entitled to them in any way, just listing what I think would help us create competitive more well-rounded instruments. dannytaurus wrote: The Pitch and FX controls for groups sounds like it could be done reasonably easily but I think the preset management is a bit of a stretch. Yes, I agree the pitch and fx controls for groups seems like it would be fairly easy to implement. As far as preset management goes, I have no clue the difficulty of implementing this. dannytaurus wrote: Maize Sampler is more or less just a wrapper built around the JUCE framework. It does a great job of allowing us to create simple instruments fairly quickly but advanced features that require development (rather than just adding in existing JUCE features) might never happen. Everything that is mentioned in this thread is already available/possible with JUCE as many plugins made with JUCE have these features. The best way seems to be to approach the dev himself via email: Xiang Cao <cxhawk@gmail.com>, although I agree that getting support for feature requests on here would definitely lend it more weight. 3 updates in 2015, 2 in 2016 and 1 so far this year. Development has slowed to a crawl and I expect it to be overtaken by another similar app in the near future. JUCE is becoming more popular and accessible to all and I really feel like this idea of 'a wrapper app around the JUCE core that exports sampler instruments as VST/AU plugins' could be a killer product for someone with the time to see it through. Unfortunately seems like the Maize dev doesn't have that time. At this point he could open source it and let the community push it forward. Just a thought. Not sure how that would work with JUCE licensing. - Added instrument level low pass and high pass filter. - Fixed a bug where serial number is not correctly verified. - Fixed audio glitch when looping inside head buffer. good news for the filter. thanks to Caoxiang! Actually it's one filter (Hipass or Lowpass), only works at instrument level, and can't be driven by the LFO . But maybe in a future update, we could have it for groups or sample, with LFO. skarabee wrote: good news for the filter. thanks to Caoxiang! Indeed, thanks for the update Caoxiang ! Im excited already anticipating what could be next. Added a couple new requests to the original post. I would like to see an option to save instruments. I would like to have multiple variations of the patch without saving wav files along with it. This would save space and be able to handle more presets. I think it would be a useful addition. - (In plugin) Possibility to SYNC the LFO rate to the host tempo. 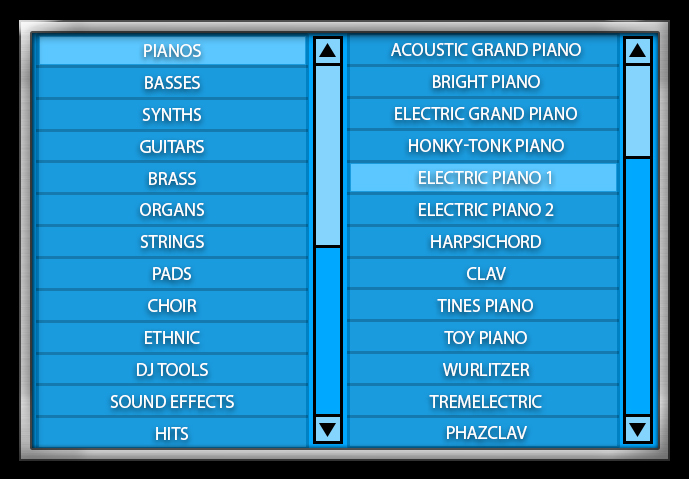 - (In plugin) A button to RESET all parameters (ADSR, filter, LFO, etc) to "fabric default options". - (In application) A better way to configure ADSR of samples. - (In application) A simpler way to configure velocity (not curves or high/low amp) as in most plugins around. - (In plugin) Possibility to use the filter as destination in LFO. - (In plugin) Adding a Band Pass to filter type. - (In plugin) Adding Resonance to filters. 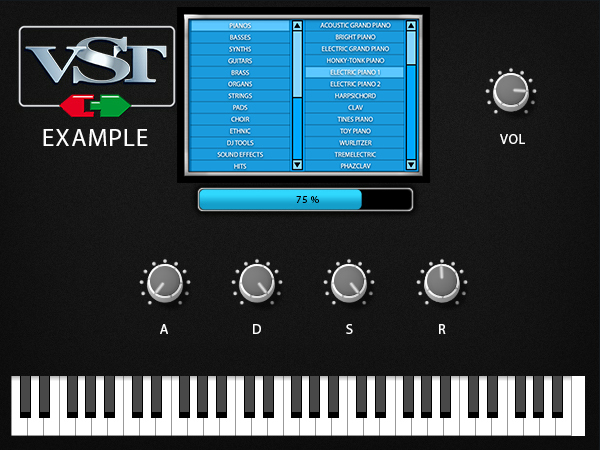 I think this app has a lot of possibilities and can give "VST designers" a lot of possibilities too.